Shazam, the smartphone app developer, is to expand in Latin Amercia after raising $40 million (£26.9 million) in funding from America Movil, the largest telecoms company in the Americas. 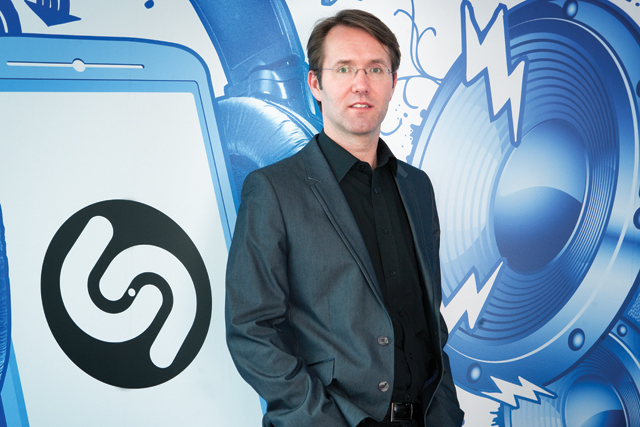 Shazam, which is best known for its music recognition app, has formalised a strategic business collaboration with America Movil to cover the Americas, which partly involves preloading Shazam on some devices in Latin America. The investment will also be used to accelerate its growth in music and continued expansion into TV. The investment follows its last round of funding in 2011, which saw venture capital firms, Kleiner Perkins Caufield & Byers, DN Capital and Institutional Venture Partners invest $32 million into the business. These investments helped expand the UK based company's service from music into television and advertising, doubling its user base to 350 million around the globe, and tripling the number of active users to more than 70 million people. Shazam also now has two million users a week and the sale of its digital goods has reached over $300 million a year through affiliate partners such as iTunes. Andrew Fisher, the executive chair of Shazam, said to Media Week: "The reason for this investment is to accelerate our growth into media engagement. This is a new platform in advertising where we are marking it easier for brands to engage with their audiences." He added that the partnership would be focused on building a bigger presence Latin America, an extremely important market for the company, but said the money will also be invested to help support the companies continued expansion globally. The growth will also supported from the remaining money from the funding round in 2011. Fisher added: "With over 350 million users we are excited to be partnering with American Movil to further accelerate our growth throughout the Americas". Carlos Slim, the founder of America Movil, said: "Shazam is defining a new category of media engagement which combines the power of mobile with traditional broadcast media and advertising to create compelling value added experiences for consumers, content providers and brands. "We are excited to bring this innovation to American Movil subscribers as we continue to further differentiate our services as the market leader in Latin America."